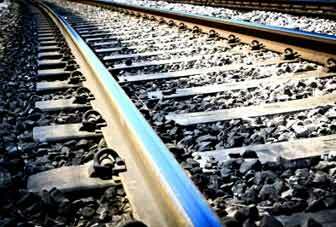 Highlights Of Indian Railway Budget 2013-14 | Business Article | MBA Skool-Study.Learn.Share. Indian Railway budget for 2013 was presented on 26th Feb 2013 with railway minister Pawan Kumar Bansal at his poetic best. There was anticipation in the general public & media that passenger fares may be hiked again but the railway minister put the put those fears to rest as the common man was spared this time. There has been no hike in passenger fares, but marginal hike in freight charges, reservation fee, cancellation fee, tatkal charges and supplementary charges. Gross Traffic Receipts fixed at 1,25,680 cr in, short by 6,872 cr over Budget Estimates. Ordinary Working Expenses retained at BE level of 84,400 cr; pension payments increased by 1,500 cr to 20,000 cr. ‘Excess’ of 10,409 cr as against the budget amount of 15,557 cr. Loan of 3,000 cr taken in 2011-12 fully repaid along with interest. Gross Traffic Receipts -1,43,742 cr i.e. an increase of 18,062 cr over RE, 2012-13. Ordinary Working Expenses -96,500 cr. Appropriation to DRF at 7,500 cr and to Pension Fund at 22,000 cr. Dividend payment estimated at 6,249 cr. Fund Balances to exceed 12,000 cr. No hike in passenger fare. Marginal increase in Supplementary charges for super fast trains, reservation fee, cancellation charge and tatkal charge. Railway Energy Management Company (REMC) to harness potential of solar and wind energy will be set up. 75 MW capacity windmill plants and energizing 1000 level crossings with solar power will be set up. New generation energy efficient electric locomotives and EMUs will be deployed. Aadhar’ to be used for various passenger and staff related services. Project of SMS alerts to passengers will provide the updates on reservation status. Real Time Information System will cover larger number of trains. Rolling out of Next-Gen e-ticketing system capable of handling 7200 tickets per minute against 2000 now & 1.20 lakh users simultaneously against 40,000 now. Rail Neer bottling plants will be set up, six more at Vijayawada, Nagpur, Lalitpur, Bilaspur, Jaipur and Ahmedabad. Free Wi-Fi facilities will be provided on several trains. 60 stations will be upgraded as Adarsh Stations in addition to 980 already selected. ‘Anubhuti’ coach in select trains will be introduced to provide excellent ambience and latest facilities and services. Installation of 179 escalators and 400 lifts at A-1 and other major stations to facilitate elderly and differently abled. Coached will be made more wheel-chair friendly with affixing Braille stickers with layout of coaches including toilets, provision of wheel chairs and battery operated vehicles at more stations. ISO certified state-of-the-art base kitchens to be set up in railway premises. 10797 level crossings will be eliminated during the 12th Plan and no addition of new LCs to the IR system henceforth. Significant reduction in accidents - .41 per million kms in 2003-04 to .13 in 2011- 12. Train Protecti on Warning System on Automatic Signalling Systems will be introduced. New fund – Debt Service Fund – to be set up to meet committed liabilities of debt servicing.